It's true that the days are long but the years are short, especially when you are a parent. I'm constantly amazed by just how fast my kids are growing up when it still feels like I cradled them for the first time not long ago. Well, I guess time is fleeting and no matter how much I wish to, there's no way we can stop time or even slow it down. That said, there is one way I can freeze time and create everlasting memories for my family - memories which are precious, priceless and bring a smile on our faces whenever we look back. That is through photographs. 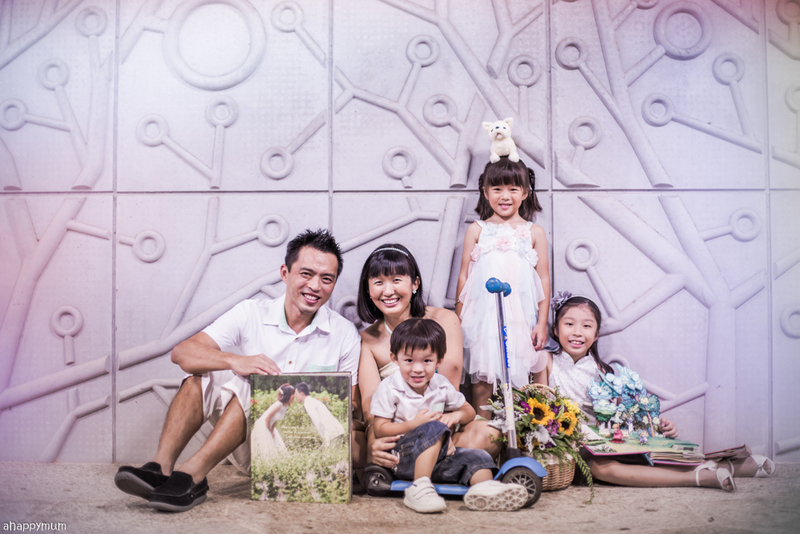 Photographs help to paint a picture of our own unique story, one that truly belongs to us, and that is the reason why I love family photoshoots and treasure each and every opportunity I get to create invaluable memories of our humble family. We did an outdoor photoshoot with Cloud Productions SG earlier this month and I'm so blown away by the end results that I have to show you more of our pictures here. You can already see many of them on my social media, blog header and profile pictures because yup, that's how much I love these photos! 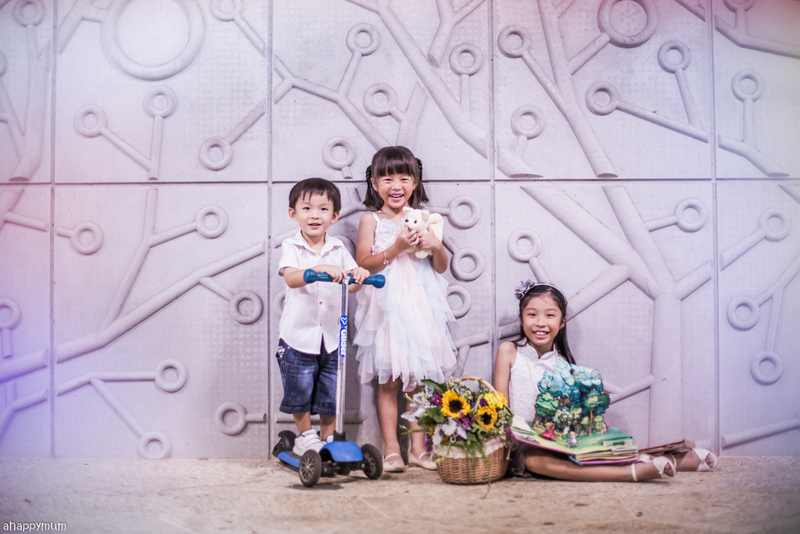 Here's sharing more about our photoshoot experience and if any of you is keen to have a family photoshoot too, which I strongly recommend you to do while the kids are still young, I have a promotion at the end too. Read on for more details! 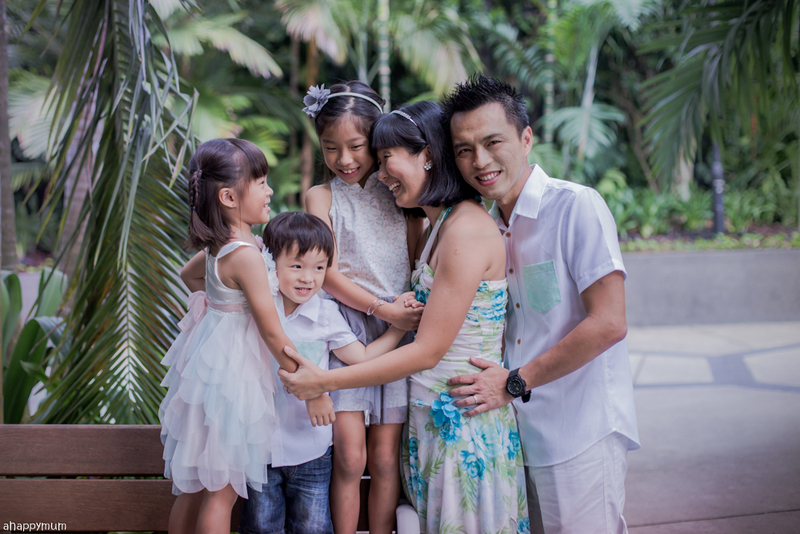 Based in Singapore, Cloud Productions is in its 5th year of business and boasts over a decade of experience in photography. With a strong emphasis on quality, visual creativity and client satisfaction, they strive to provide refreshing ideas, an eye for creativity and attention to details. As some of you might know, we've done reviews for a number of photography studios and outdoor photographers over the years but what made Cloud Productions stand out was that prior to the photoshoot, they requested for me to fill up a form and I did so, thinking that it was just a form to write our names, date and time availability, preferred venues and contact numbers. 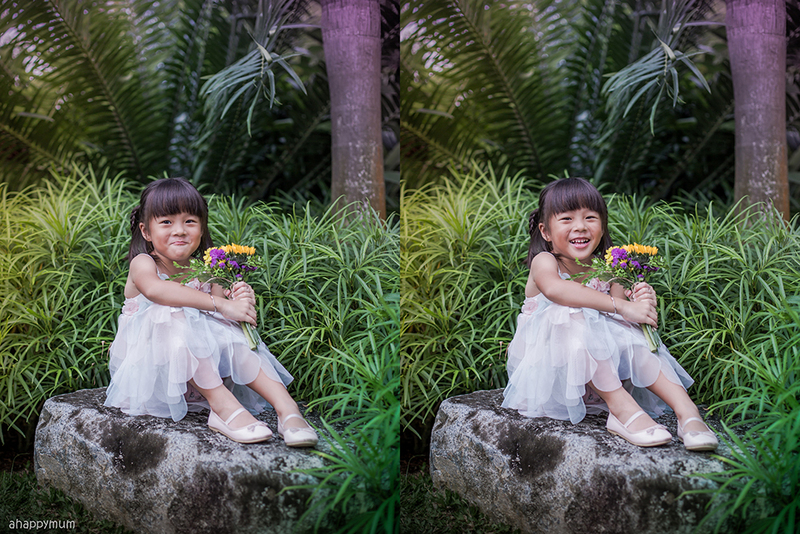 I realised it was all that and more when I was asked to indicate the type of lighting I prefer for my photographs and whether I prefer posed smiling shots or natural shots. What impressed me most was that I was even asked to write a short introduction about each of my children, for instance their hobbies, what they like or dislike, if they love outdoors etc. I mean, not many photographers actually make the effort to know more about my kids. 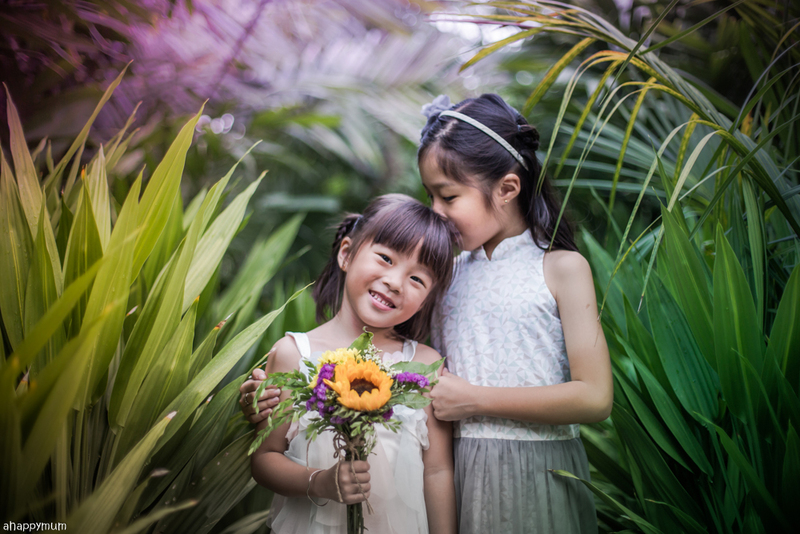 I felt that it mattered to me and it meant that they were willing to go the extra mile to understand my kids and get to know each of them a little bit better - in the hope of capturing their best moments. 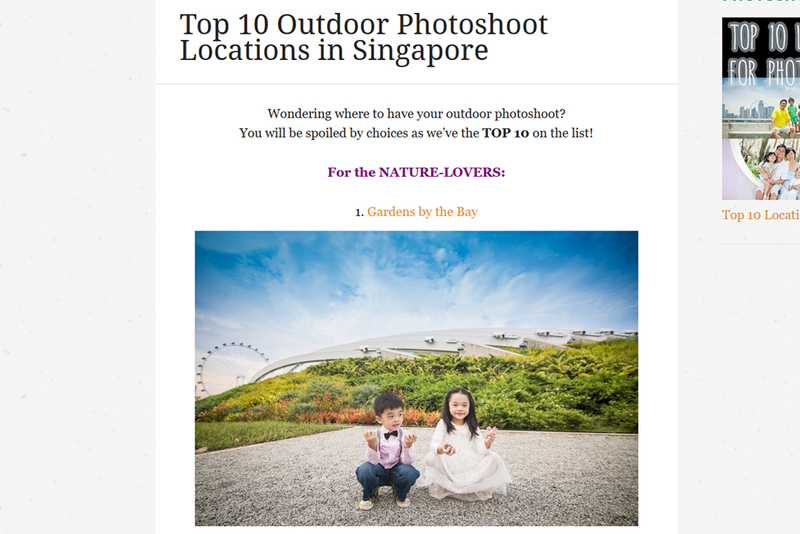 Specialising in outdoor family photography, Cloud Productions also took the initiative to send me a list of the top 10 outdoor photoshoot locations in Singapore. It wasn't mandatory to choose my final venue from the list but it gave me a pretty good guide of where to start and helped us decide on which venue would suit our family best. 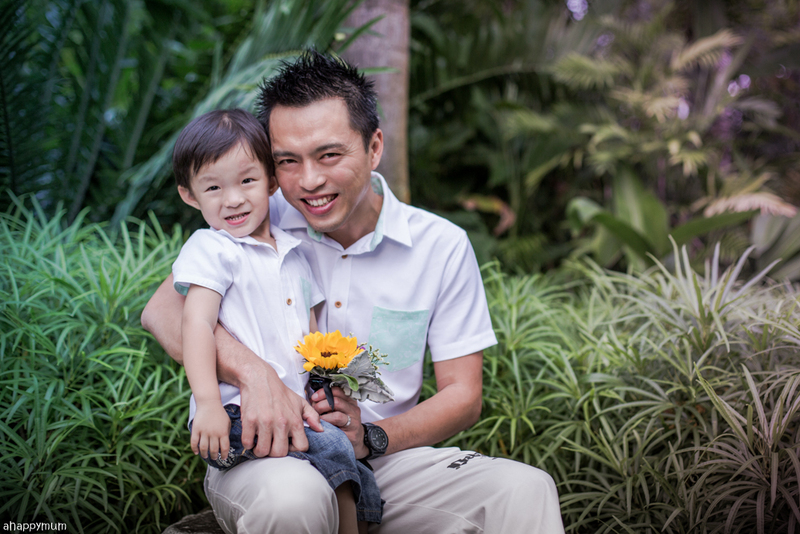 Our choice was Gardens by the Bay because it is one of our favourite places to visit and I was hoping that by having our photoshoot there, it would help us to remember the magnificence and all our fond memories of this beautiful place. That said, prior to the shoot, in our group discussion with our photographer Irene, we had decided that we would not be visiting the domes since it was going to be a busy weekend and we didn't want to squeeze with the crowd or end up with cluttered pictures. On the day itself, when she asked us if we had any preference on the phototaking spots, I said that we would leave it to her since we trust her professionalism and experience. I was pleasantly surprised by how she didn't come alone but instead brought three of her guys too! These were nice and friendly chaps who helped us to entertain the kids, filmed a behind the scene video and even offered to carry our barang barang (we had brought along our thick, bulky wedding album, mind you) to help ease our load too. So very nice! Thank you thank you! 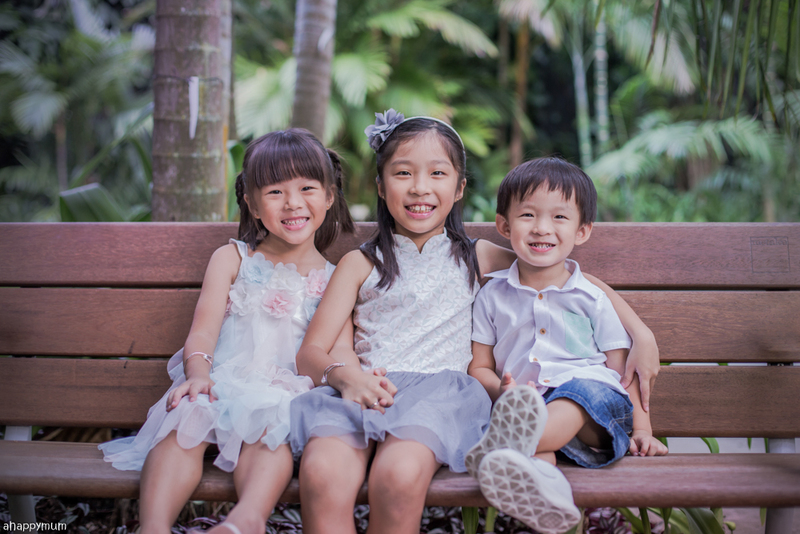 We started off the photoshoot with some warm-up shots but I have to tell you that some of these turned out to be my favourites from the day, especially the one with the three kids smiling broadly! It was a little hard to engage the toddler at first because he was slightly overwhelmed and asked to be carried from time to time, plus he was giving us that forced smile instead of smiling from within. Oh yes, talking about that, you do know how hard it is to get kids to smile from the heart, right? And well, I have three of them so it gets really tough trying to snap that perfect, natural, happy moment where all three of them are 'smiling from the heart'. Irene and I tried to keep telling them to do it but I'm not even sure if they know what it means because I, for one, might not be able to smile from within that easily if nothing was amusing me. So, the hubby and I tried to act like clowns to make the little ones laugh and kept asking them to relax their mouths and then give a spontaneous smile. Yup, posed or natural smiles, at least I am glad that these kids were quite cooperative most of the time and didn't give up trying. Big thanks to a patient photographer and the sweet treats we brought along too! The second spot that our photographer chose was us was along this bench and at first, the hubby and I didn't really understand why as the angle looked a little odd and the bench was rather dirty so he had to clean it first in case it stained their dresses. When I saw the photos, I was totally convinced that I didn't have an eye for photography because I would never had thought that the photos could turn out this beautiful. It also means that I could trust Irene wholeheartedly because she definitely knows what she is doing, for instance how to place their feet, how to position the kids, how to hold the picnic basket etc. Our third spot was on this rock and the kids were supposed to have their individual shots here - just that the boy was happier to do it with Daddy so Daddy scored some precious father-and-son shots too. See their matching shirts from Moley Apparels? I think they look pretty cool in them and the green, floral designed pockets were a good match to the garden theme too! 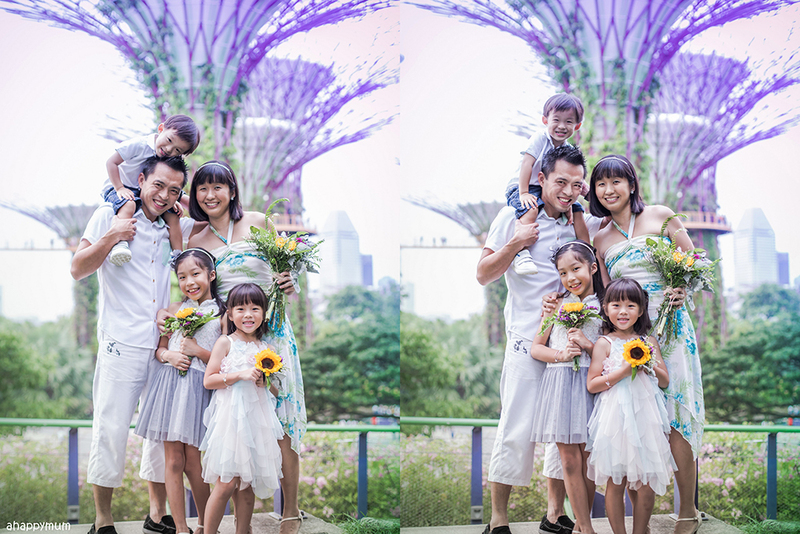 Check out our beautiful sunflower bouquets too, kindly sponsored by Jennifer from The Mystic Gardens (IG handle @creative_themysticgardens, located in Sengkang). 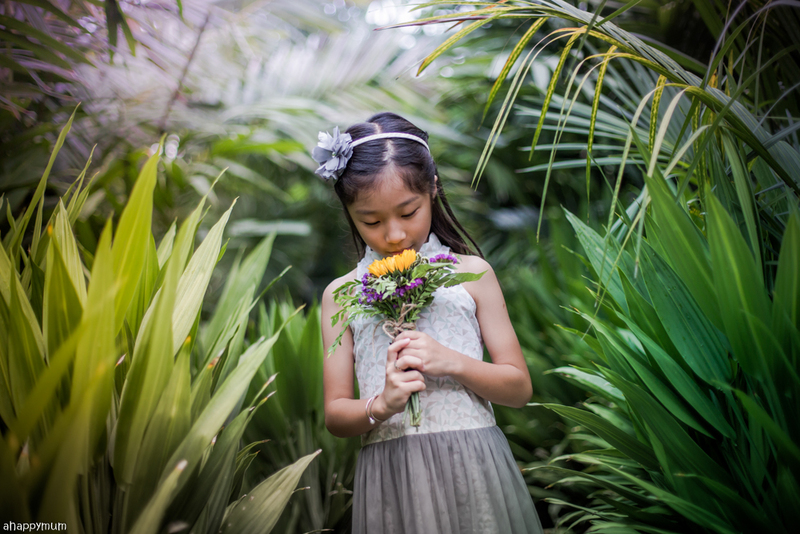 She was so kind as to take into consideration that sunflower is my favourite flower and put together a beautiful hand bouquet, an equally pretty smaller one and a cute boutonniere for our photoshoot too. 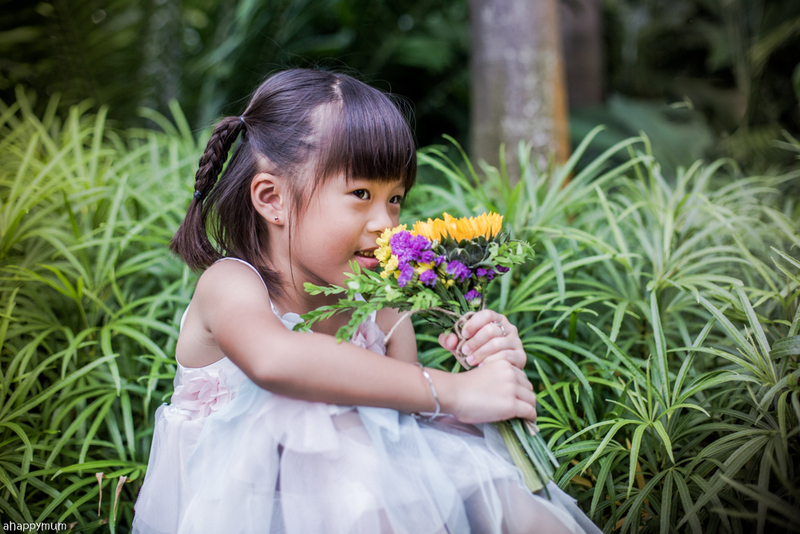 These beautiful blooms made a world of difference, don't you agree? 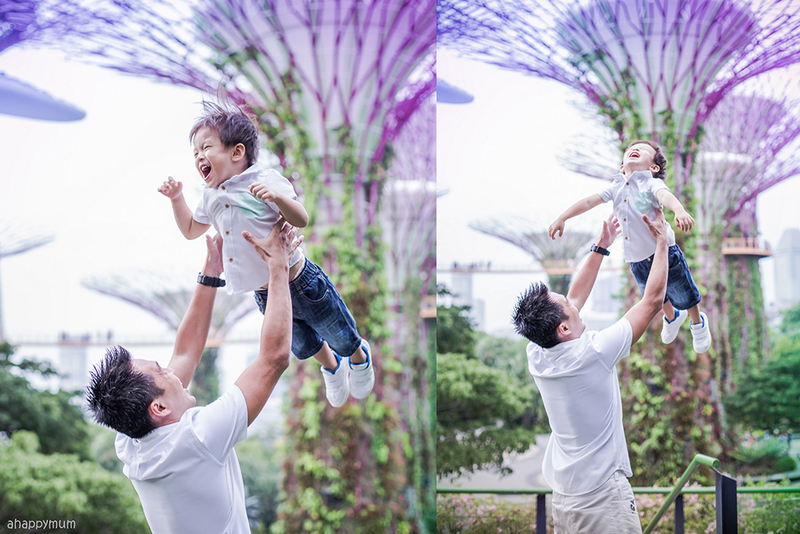 We then moved on to take some family portraits with the Supertrees in our background and these were my absolute favourites from the entire session. 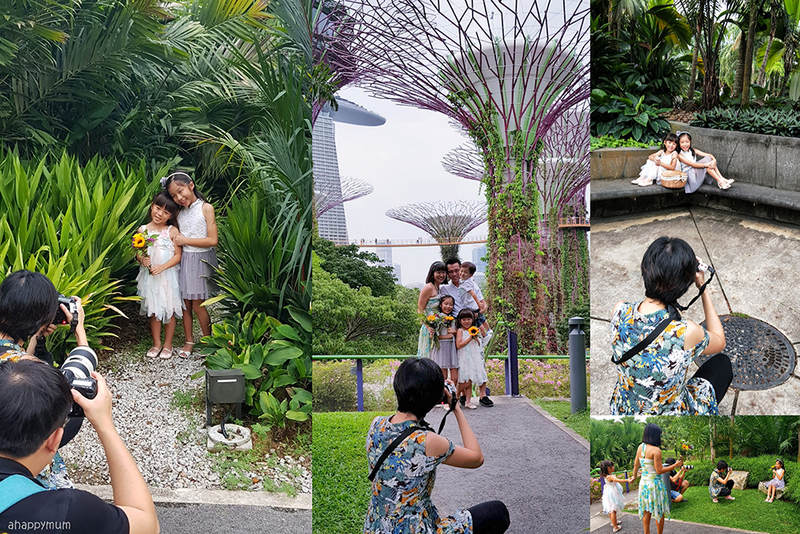 Yup, no doubt about it, these must be some of the most beautiful family shots we've ever taken in Gardens by the Bay over the years and I'm so glad we finally have a chance to do so with a professional photographer. I can't wait to see our family portrait printed out on canvas so I can proudly hang it up in my living room, woohoo! 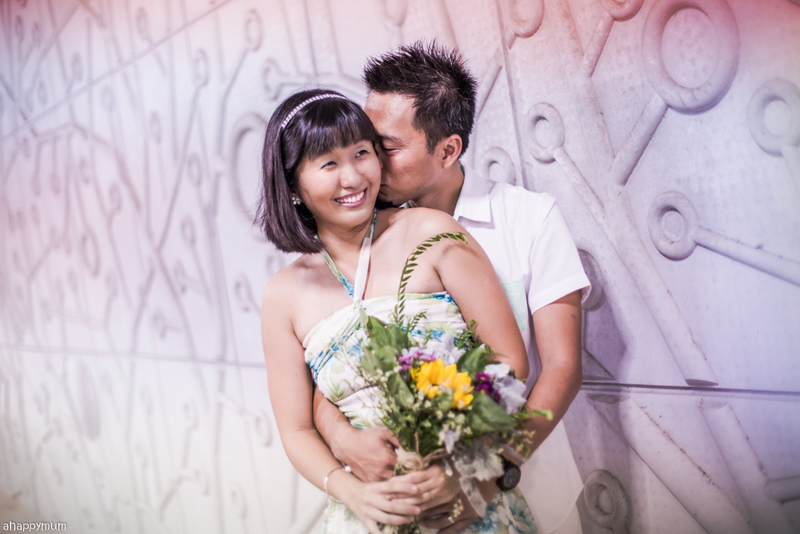 This being our 10th wedding anniversary year, it means something extra special to me and I conveyed that to Irene beforehand, asking if she could help us to capture some couple moments too. It wasn't easy to keep the kids away but the Cloud Productions team helped us to achieve it and these few shots of just the two of us are invaluable to me because they speak of our love story and the long road we've come so far. See the wedding album that we lugged all the way here? Yup, at least we put it to good use and took photos with it. Haha. Still finding it hard to believe that a decade has passed already! Which reminds me once again that time has wings and all we can do is cherish, make good use of it and take more pictures to remember those fond memories. Time for some sisterly shots! This was yet another spot that took me by surprise because from my point of view at that time, it simply looked like a narrow path with bushes on both sides. The toddler was reluctant to get in because the leaves were ticklish and it also seemed like there would be mosquitoes just waiting for their prey. 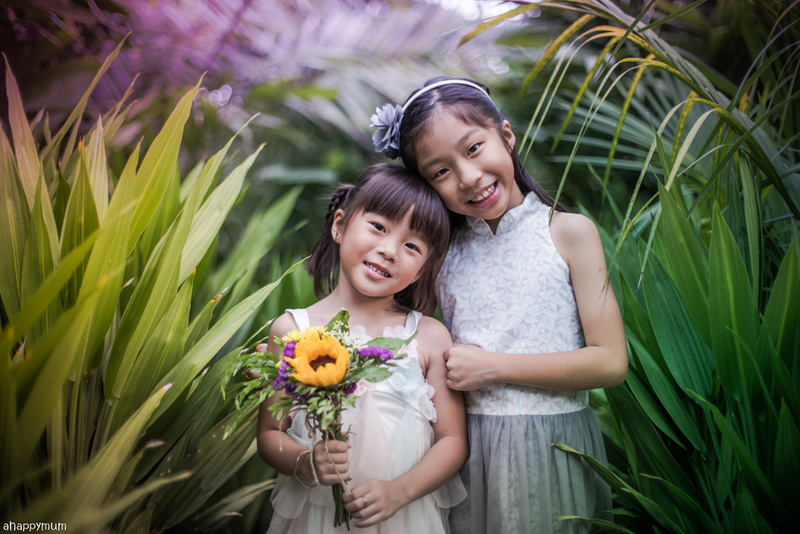 Nonetheless, Irene was great at adapting to the situation and she made use of the chance to capture some loving shots of the girls. 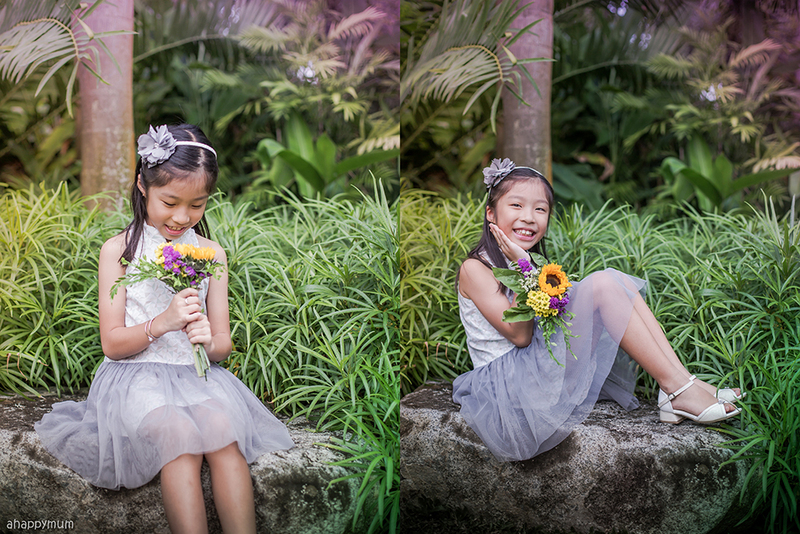 These shots make me think about the days when I only had two daughters and all the fun, girly dates we had. She would direct the girls to hold this leave, smell that one, kiss each other, smell each other's hair and so on, and the end results speak for themselves. I am pretty fond of how Cloud Productions edited the photos yet kept them looking as natural as possible, and this bush series turned out to surpass my expectations too! The toddler was getting a little fidgety and whiny after that, and started demanding to play with the bubbles we brought. Seeing how he probably would not manage a nice smile for the camera, Irene gave us the go ahead for them to take a rest, let loose a little and have some fun doing what they love to do. 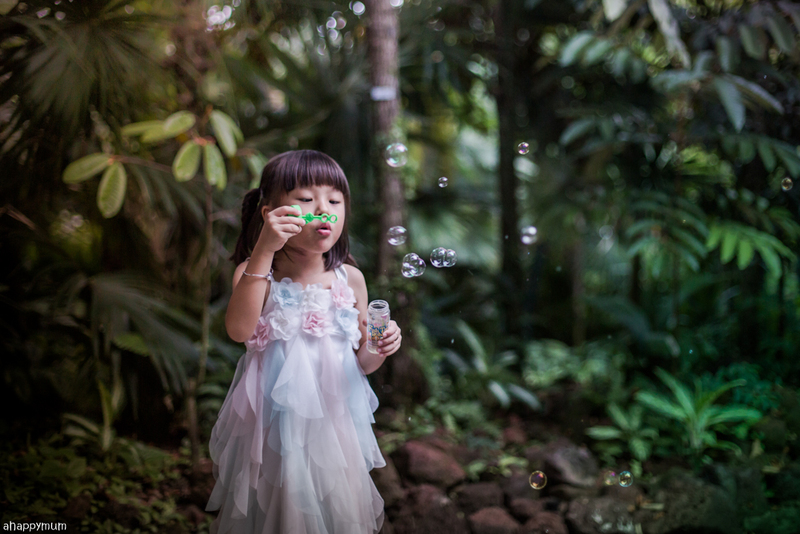 Yet, throughout the entire break, she didn't forget to capture some shots of them playing with each other and I love how these bubble shots captured their childhood innocence. It began to drizzle thereafter so we adjourned to our final spot for the evening and it was at this wall with an interesting branch pattern near the Supertree Grove. The sky was already getting dark by then but I'm glad these shots turned out to be okay in terms of lighting. The family shots were nicely captured and I love how we all look more at ease and natural now that we were more acquainted with the team. This last segment was also our favourite part because we were allowed to bring some of our favourite items into the shots! The big girl chose a pop-up book - Alice in Wonderland by Robert Sabuda; the little girl chose her current favourite toy - a toy puppy that walks and barks, and the boy wanted his beloved blue scooter that he absolutely loves nowadays. I love how these items seem to tell a story and shows their different personalities at this stage of their lives. This was the last shot for the day and likely one that will remain etched in my heart forever. It reminds me so much of our ROM day ten years ago and I'm so glad that no matter how much time passes, some things remain constant. Nope, waistlines and wrinkles are not part of those, but having each other's back and loving each other even during tough times are things that we are thankful for. I'm so happy that we had the chance to work with Cloud Productions this time round and they totally went beyond my expectations with their professionalism, quality of pictures and efficiency. Can you believe that we got back our pictures via a webhost in just a week? Yup, crazily fast and they guarantee that it will not take longer than two weeks for you to receive yours too when you book with them. The whole photoshoot didn't take us over a couple of hours but the memories we got out of it will last us for a lifetime. Time and tide waits for no man - these are precious memories that can never be replaced because, like it or not, our kids will only be young once. So, what are you waiting for? - HIGHLIGHTS: No extra cost for more Pax. - You will get 1x photoshoot; shot at one location of your choice. - Deliver in 2 weeks fast editing, transfer via webhost. 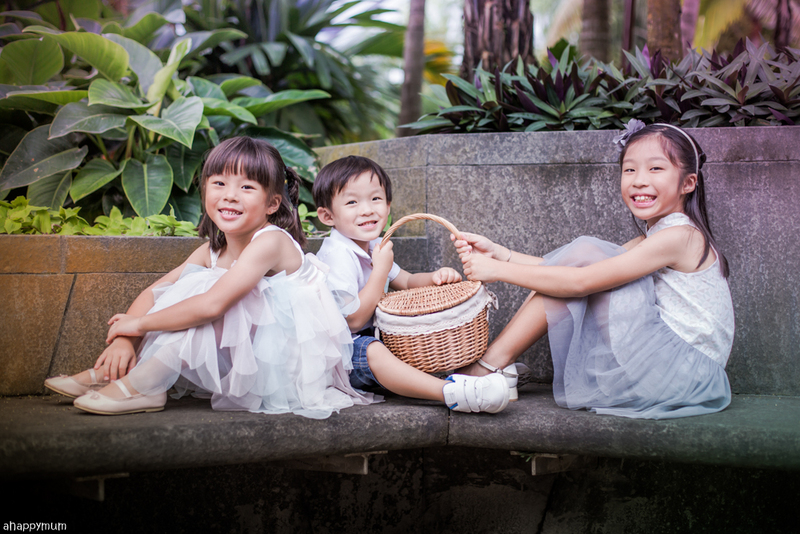 +Children & Family Videography $388/hr, FREE for 2nd hour Photoshoot booking with us. This promotion expires on 31st December 2018. 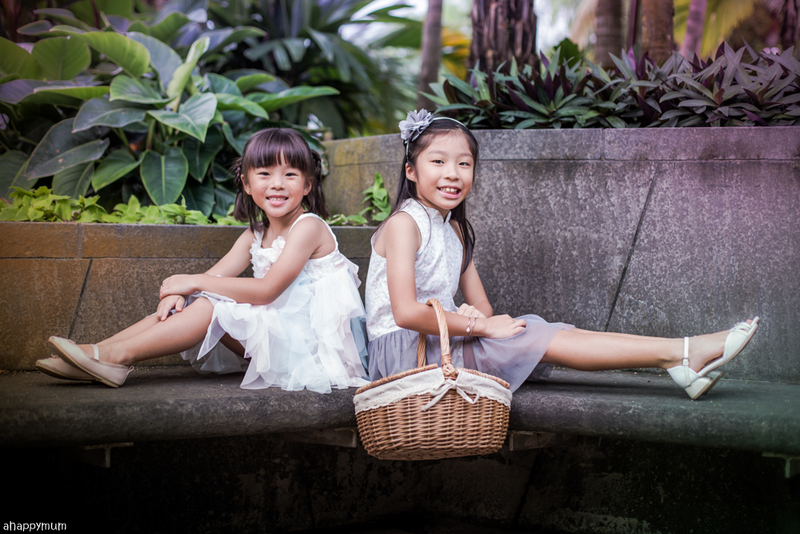 For more information, visit their official website at http://cloudproductions.sg/ or call their contact hotline at +65 8749 3850. You can also follow them on Facebook or Instagram. 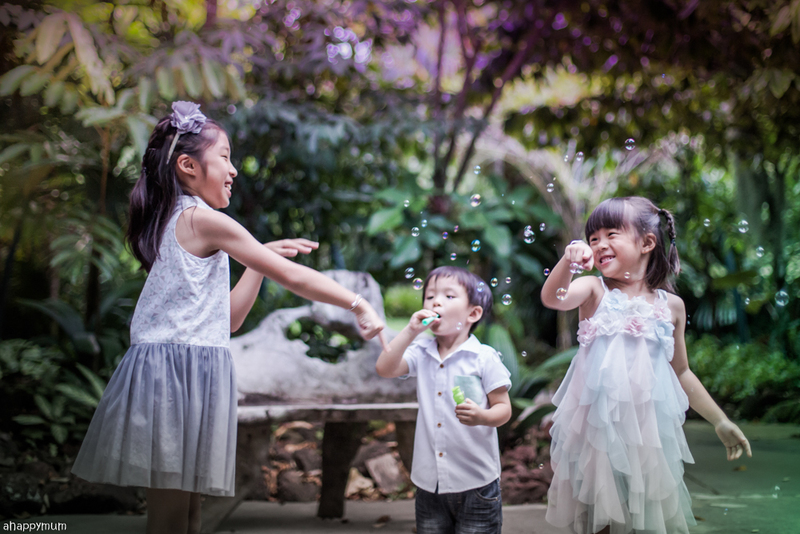 Disclosure: This is a sponsored collaboration between Cloud Productions SG and A Happy Mum. 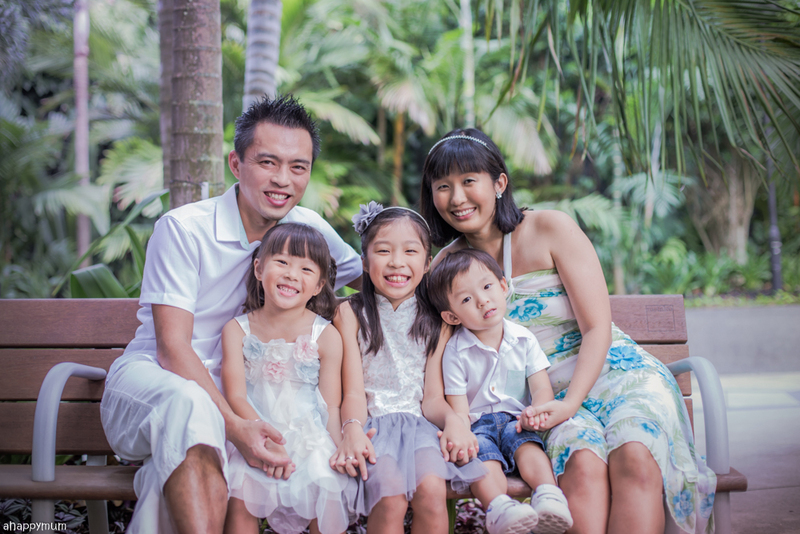 We received a complimentary photoshoot package in writing this review. All opinions are our own.